LOS ANGELES (October 30, 2013) - The Los Angeles Auto Show confirmed today that it will host more than 60 unique, historic and significant vehicles as part of its inaugural MPG Motoring Invitational Presented by Forza Motorsport 5 and Xbox One, on November 20 at the Los Angeles Convention Center's Gilbert Lindsay Plaza. 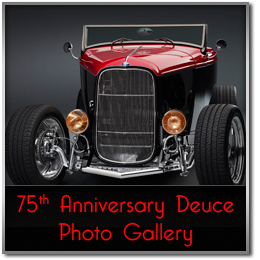 We're a week away from the 2013 edition of Detroit's Autorama - World of Wheels - Cavalcade of Customs! For 61 years the show has featured some of the best street machines in the Mid-west. One cool ride that will be in the Ford Racing Performance Parts display is SO-CAL Speed Shop Pomona's 5.0L Coyote powered Street-Rod. 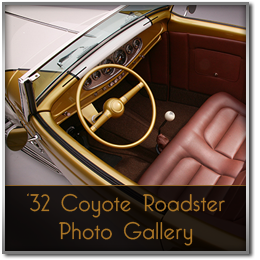 After the debut of the '32 Ford Coyote Roadster at this year's SEMA show in Las Vegas, Detroit Street Rods and SO-CAL Speed Shop are getting lots of attention for building such an amazing vehicle. We've rounded up some of the press clippings here for you to enjoy! ﻿Detroit (Nov. 12, 2012) — Detroit Street Rods, LLC, the premier hot rod builder that brought you the officially license, limited edition “75th Anniversary Deuce” ’32 Ford, has done it again. In collaboration with the famed SO-CAL Speed Shop, they have designed, fabricated, and assembled the much-anticipated “Coyote 5.0” that commemorates the 80th Anniversary of the iconic 1932 Ford Roadster. Champions Moto “Coyote” Roadster designed by SO-CAL Speed Shop and built by Detroit Street Rods, will debut in Ford’s 2012 SEMA booth. Detroit, MI (August 1, 2012) — Detroit Street Rods, LLC, the premier hot rod builder that brought you the famed “75th Anniversary Deuce” ’32 Ford, has teamed up with legendary SO-CAL Speed Shop to build a new series of high technology inspired hot rods. LAS VEGAS — The temple of horsepower reopens here this week, and once again the faithful will be allowed inside to worship the automobile. The annual Specialty Equipment Market Association trade show usually draws more than 100,000 people during its four-day run, which starts Tuesday. DETROIT, Mich. Aug. 27, 2007 – The Detroit Street Rods raised $200,000 for the Juvenile Diabetes Research Foundation (JDRF), the world’s largest charitable funder of type 1 diabetes research, during the 75th Anniversary celebration of the 1932 Ford Deuce and Ford Flathead, held in Dearborn, Mich., on Aug. 9-12, 2007. A ceremony was held at the historic Edsel and Eleanor Ford House on Aug. 12 where Edsel B. Ford II, the event’s host and long-time supporter of JDRF, received a check on behalf of JDRF for $200,000 to the organization’s mission to find a cure for diabetes. A Brand-New Deuce -from Ford! 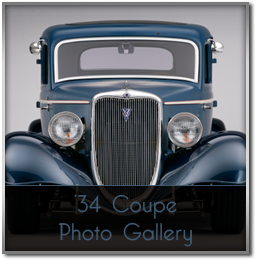 Some 75 years ago, as we all know so well,the Ford Motor Company introduced an all-new model: crisply styled and nicely evolved from the car it replaced, its biggest news was the V8 it carried under its hood. Today, of course, it's the quintessential hot rod, built both from increasingly rare original steel bodies, and from increasingly easier- to-find reproduction parts. But should you care to buy one, rather than build one, why not do as your father or grandfather might have done, and buy yours directly from Ford?